"Respect the process," was New York City Mayor de Blasio's mantra on talking head television this morning, as he talked about the Eric Garner no true bill vote. Like an "honor the call" philosophy in pick up basketball, or the requirement that lawyers "respect the robe" when confronted with shoddy judging, we are expected to accept individual bad decisions or false calls for the sake of the larger game. It is part of the view that our legal system offers justice in the aggregate, but certainly not in every case. Not the most reassuring thought for those on the wrong end of unjust calls. De Blasio's sales pitch is a predictably infuriating bit of the same "independent grand jury" nonsense that we heard in Ferguson. The idea is that the GJ is like a scale, on which all of the boxed up relevant evidence is placed, so the GJ can render a true reading of the weight of that evidence. If it is more than X, there is an indictment, if it is less, there is not. The prosecutors are merely messengers who assemble that evidence in a neutral way; it is the weight of the evidence that drives the outcome. This is the process de Blasio insists we respect, even if we think it's a bad call. The problem is that he is perpetuating an ongoing lie. The mayor knows full well that the grand jury, no matter how well intentioned, follows the bread crumbs laid down by the prosecution. The evidence presented, the manner in which it is presented, the witnesses called, the way they are examined, the charges that are available, and the way in which the jurors are instructed, are all at the discretion of the prosecution. The outcome is not determined by the presentation; it is the desired outcome that determines how the evidence is presented. 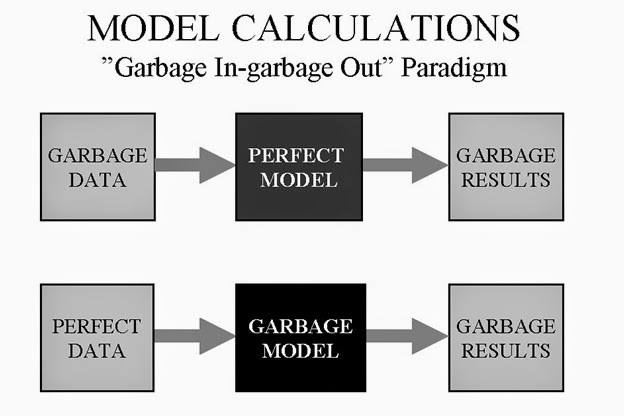 Or, to put it differently, if you feed garbage data into even the most perfect computer model, you will receive garbage results. The process is hardly the point.